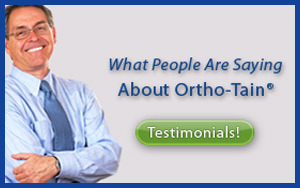 Will Otho-Tain® Work for Me? Which orthodontic treatment is the best choice for your family? For doctors, how can you know which is the right orthodontic appliances or treatment to implement for the challenges facing your practice today? Discover the Ortho-Tain® removable orthodontic appliances and techniques that have already helped over 2 million patients worldwide – and changed how experts think about orthodontic treatment! While achieving a beautiful result with cosmetic dentistry is important, it is just as vital to understand and correct the underlying reasons for a misaligned smile. Comparing the cost and completion time is an important deciding factor for orthodontic treatment, yet one must also consider whether their fixed treatment or invisible braces are really correcting the underlying problems. Early orthodontic correction is critical for long-lasting and healthy results. · Ortho-T®: A fast, affordable way to straighten teeth without braces for adults, teens, and pre-teens. · Occlus-o-Guide®: The clear choice of children orthodontics during the transition of baby teeth and permanent teeth, (referred to as the mixed dentition). · Nite-Guide®: For early intervention of orthodontic treatment for children ages 5 to 7, this easy-to-wear appliance provides precise tooth and TMJ development for children. It often prevents the need for braces or orthodontic treatment in their teen years, (referred to as Interceptive Orthodontics and Early Treatment). · Snore-Cure®: An appliance that comfortably works as a cure for snoring, by allowing unrestricted airflow while sleeping for a good night’s rest. Also, if you are considering or currently using traditional braces, ask your orthodontist about having your braces taken off significantly sooner! 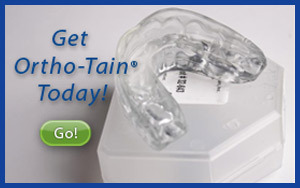 Ortho-Tain® also offers several products to help speed up treatment time for fixed treatment, such as braces.